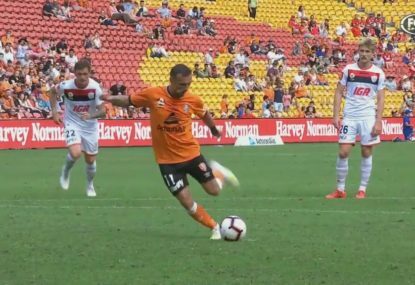 Classy Sydney FC playmaker Milos Ninkovic has shrugged off the bruising early treatment he got in his side’s A-League derby, which coach Steve Corica had warned his players about. ‘Derbies, especially in the first 30 minutes, are always tough,” Ninkovic told AAP. 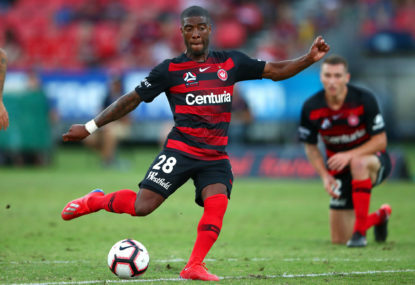 Corica wasn’t surprised by the fiery start to the game, though he felt referee Shaun Evans could have issued a yellow card even earlier than the first he handed out in the 11th minute, when he booked Keanu Baccus for a foul on Ninkovic. 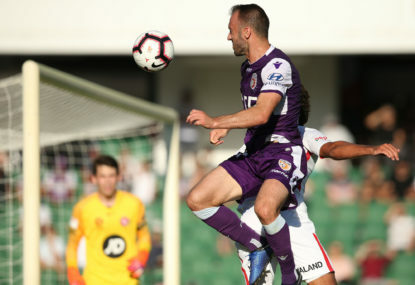 “It’s a derby, it’s physical, they got stuck into us early on,” Corica said. ‘I think the yellow card could have come out maybe a little bit earlier than what it did, but that’s my opinion. 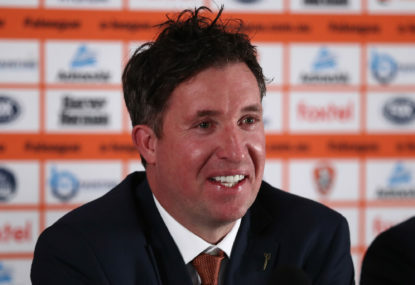 “But once they come out they come out thick and fast because they were getting stuck into us, but our boys carried on and got on with it. “It’s a derby game, you expect that to be physical. Wanderers coach Markus Babbel said he wasn’t worried by the three early bookings for his side. “Two of them I think were (for) nothing,” Babbel said. ‘He’s a local guy and maybe he was a bit over motivated but he’s 20 years old, he will learn from this,”‘ Babbel said. Brosque came off at halftime, but Corica was hopeful his skipper would be fit for Thursday’s home clash with Perth.